Forskolin is quickly becoming one of the more popular fat loss supplements, but why? What is it, how is it supposed to help, and does it work? Read on to find out. There’s no shortage of supplements to take if you want to lose fat faster. The marketing blarney can sound pretty good, too. If you’re to take it at face value, all you have to do to shred your belly fat, curb your appetite, and kill your cravings is pop a few pills every day. No amount of pills or powders alone can give us the lean bodies we want. Only diet and exercise can do that. When you look at the scientific research, you’ll find that some supplements can actually help move the fat loss needle. You just have to know what to look for and how to use them properly. And that brings us to forskolin. It’s often found in fat burner supplements because it purportedly accelerates weight loss, but what is it, exactly, and how is it supposed to work? And more importantly, what type of results can we actually expect from taking it? Well, you’re going to get answers to those questions and more in this article. By the end, you’ll know whether forskolin is worth your money or not. Why Do People Supplement with Forskolin? What’s the Clinically Effective Dose of Forskolin? What Type of Results Should I Expect from Forskolin? Forskolin is the active ingredient in the herb Coleus forskohlii, which is a plant in the mint family that grows in subtropical areas such as India, Burma, and Thailand. Coleus forskohlii is most well known for its use in Ayurvedic and Chinese medicine to treat digestive problems, heart and lung conditions, asthma, insomnia, muscle spasm, convulsions, and skin disease. As far as supplementation goes, you’ll find they either contain a dried powder made from the roots of the plant, which is about 10% forskolin by weight, or forskolin extract, which is the molecule directly. Both ultimately have the same effects in the body, but you have to take a larger dose of coleus forskohlii to match the effects of the extract. Forskolin has been used clinically for some time now, usually for chest pains, high blood pressure, and asthma. More recently, studies have shown that forskolin can also help you lose fat faster and retain muscle better while dieting, as well as boost testosterone levels, improve mood, and increase bone mineral density. The primary mechanism by which it accomplishes all this is increasing the cellular levels of a compound called cyclic adenosine monophosphate, or cAMP. This molecule is an intracellular “message relayer” vital to various biochemical processes, several of which influence fat burning. For example, it stimulates the production of hormone sensitive lipase, which is responsible for the mobilization of fat stores. cAMP can even raise your basal metabolic rate through its interactions with another substance called adenosine triphosphate, or ATP. ATP is the most basic form of cellular energy in the body, and when it’s plentiful, cAMP levels are naturally low. Conversely, when cAMP levels are elevated, it signifies a lack of ATP (energy), which initiates a process to make more by tapping into fat stores. So, in the context of fat loss, people supplement with forskolin primarily to raise cAMP levels, which can positively influence your body composition. Unfortunately, there isn’t much research on the direct benefits of forskolin supplementation. We know it increases production of chemicals that generally do good things in the body, but we aren’t sure how much of this translates into real world benefits. That said, the studies that have been done are promising, which is why I believe this molecule is worth writing about. The most interesting research thus far was conducted by scientists at the University of Kansas, and it looked at how forskolin influenced the body composition, testosterone, bone density, and blood pressure in a group of overweight and obese men. Their bone mineral density improved by 8%. Their testosterone levels increased by 17%. They lost lost 9 pounds of body fat. Impressive results no doubt, but we should keep in mind it’s just one study and some people got much better results than others. There is, however, additional evidence of forskolin’s fat loss effects. A study from the College of Ayurveda that found that daily supplementation with Coleus forskohlii for 8 weeks reduced BMI in subjects by about 2.5%. A study conducted by scientists at Baylor University, which found that overweight women taking 50 mg of forskolin per day for 12 weeks gained less weight than those taking a placebo, and also reported less hunger and fatigue and higher energy levels. Most studies that have demonstrated forskolin’s health and fat loss benefits have used two 25 mg doses per day (either directly as an extract or through larger doses of the herb). It’s not clear if higher doses would be more helpful, but based on all the available research, 50 mg of forskolin per day would be considered a clinically effective dose. As you’ve seen, studies clearly show that forskolin can benefit your health and body composition, but how much is a matter for further investigation. That said, I think it’s fair to say that if your body responds well to it (as with all natural supplements, they work better for some people than others), it can make a significant enough difference to include it in your fat loss regimen. It’s also unclear what effect stacking forskolin with other proven fat loss supplements such as yohimbine or synephrine might have. Most studies have only looked at Coleus forskohlii or forskolin extract by themselves, and haven’t explored possible synergies with other molecules that influence the same physiological mechanisms and pathways. Slightly more fat loss and higher energy levels while cutting. A potential increase in testosterone levels. Forskolin isn’t a game changer, of course — no supplement is — but when you’re looking to lose fat as quickly as possible, every little bit helps. So far, there have been very few side effects reported with forskolin supplementation. The most common side effect (which is still relatively rare) is diarrhea, due to its ability to increase the rate at which food moves through your digestive tract. I should note, though, that this isn’t an issue for most people who are dieting, because restricting calories decreases gut motility. In other words, dieting cancels out this effect for most people. Regardless, if you run into this problem, you may want to stop taking forskolin, or at least stop taking it with caffeine. Forskolin also decreases blood pressure, which isn’t a problem for most people, but if you already have low blood pressure or kidney disease, you should talk with your doctor before taking forskolin. And as with any supplement, you should always check with your doctor before you start taking forskolin if you’re pregnant, breastfeeding, or taking medications. Most forskolin supplements are sold primarily as fat burners. Another big benefit of taking the right fat loss supplements is they can be particularly helpful with losing stubborn fat, which is usually belly fat for us guys and hip and thigh fat for girls. Well, forskolin is one of the “right” ones. And that’s why I included a clinically effective dose of 50 mg of forskolin extract in my fat burner PHOENIX. If you’re skeptical of any and all fat loss supplements, you should be. Most are bunk, and some are even dangerous. Forskolin, however, is a relatively new player in the shemozzle of weight loss supplementation, but the research we have on it thus far is promising. It looks to be a worthwhile inclusion in your fat loss regimen. 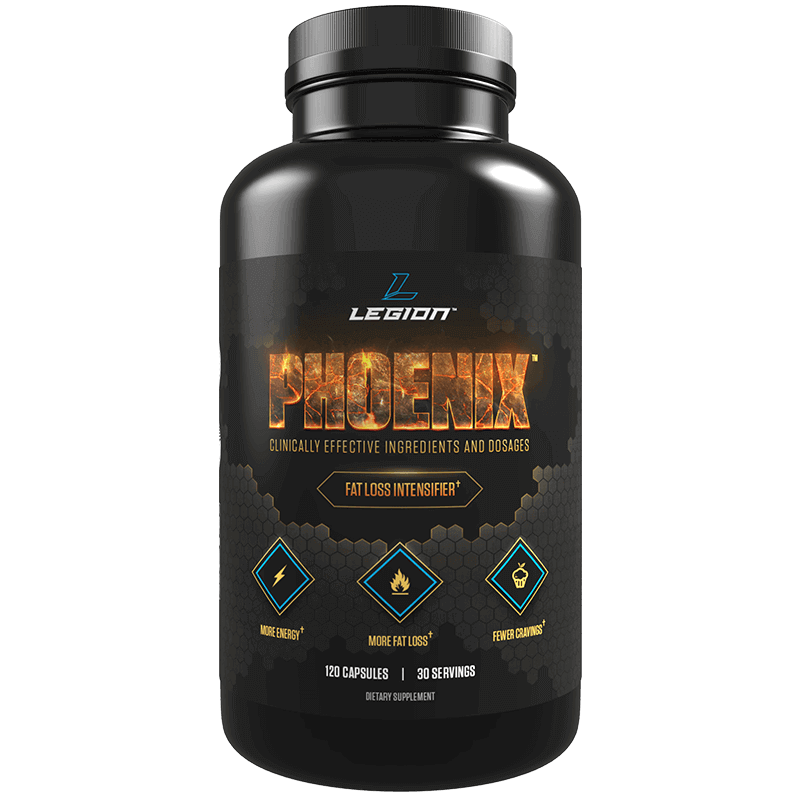 When combined with proper diet and exercise, and especially when combined with other proven “fat burners” it can help you lose fat a bit faster. What’s your take on forskolin? Have anything else to share? Let me know in the comments below!